In the previous tutorial we learned how to create our very own custom plugins. Even though we may never need to create plugins as there are already many plugins that probably do what you want to do already, it was good to learn how to. Before we get started, please note that we are not recommending any way of setting up the libraries. This article is designed to show you in examples how you can use webpack. You should decide to use CLI tools or manual depending on the project and the level of customization you want to have. However, we will be setting up a Vue application from scratch using webpack. This command will initialize npm in the project and add a new package.json file that we can use to define dependencies and more. 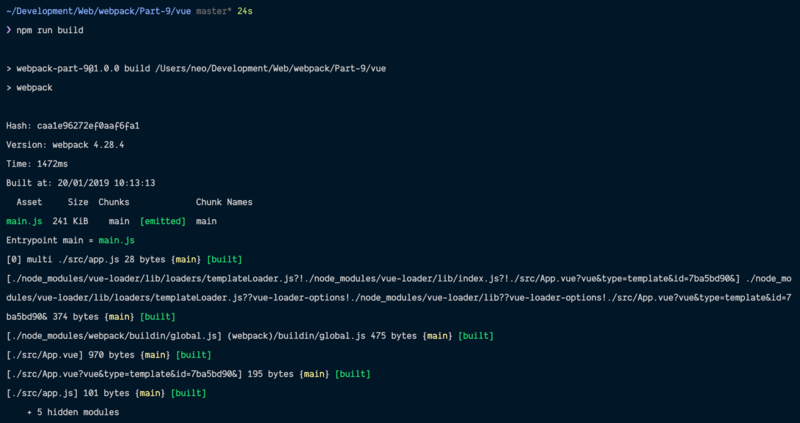 When webpack and webpack-cli have been installed, let’s start creating our application files. The file above will be the entry point to the application and we are making it load the App.vue file. However, we need to bundle the files using webpack. In the code above, we are importing vue-loader which helps us parse .vue files. We also registered the VueLoaderPlugin. Although our build above works, we can definitely do better. Let’s do some additional configuration that will get us closer to an actual development environment. First, we will install the webpack dev server. This will remove the need for us to manually launch the index.html file. Now when we run the dev script and visit http://localhost:8080, we should see the same output as above. However, when we change the contents of the App.vue the changes are not reflected immediately. To add hot reload, let’s make a few changes. Open the index.html file and remove the reference to the main script dist/main.js. We want this to be automatically injected. Now we can re-run the dev script and we will see true hot reloading whenever we change files like the App.vue file. Now, run the dev script (if it was not already running) and visit http://localhost:8080. You should see the new styled application. There are many other additions we can add but at this point, we have a fully working Vue application that we have built from scratch. No magic behind-the-scenes configuration. 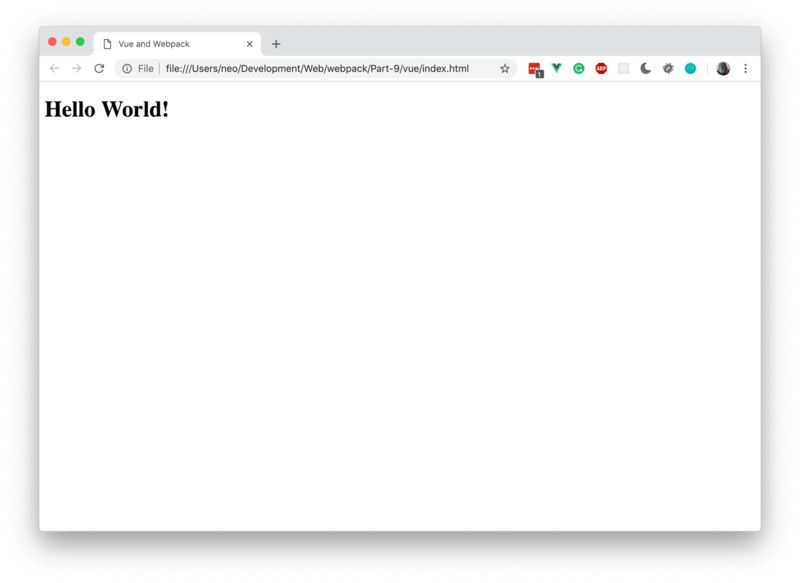 In this part of the series, we have managed to configure our Vue application from scratch using webpack and without the help of the vue-cli tool. Depending on your project, however, you might want to stick with vue-cli as it is a lot easier to set up.